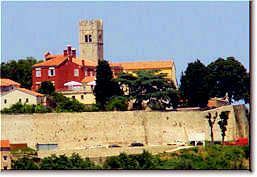 This delightful little hill village is a breeze to visit even by bus as it's only 15 minutes from Rovinj. 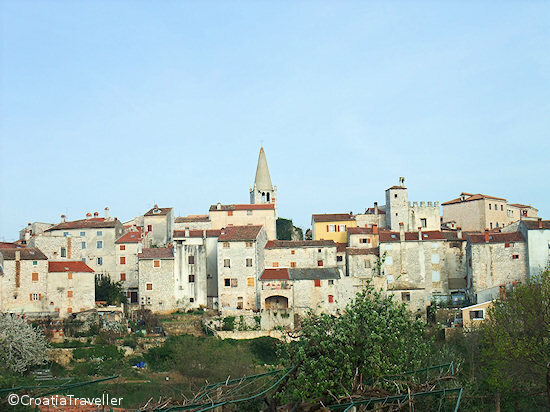 Go to Bale for the views, artsy boutiques and authentic Istrian restaurants. Read more. 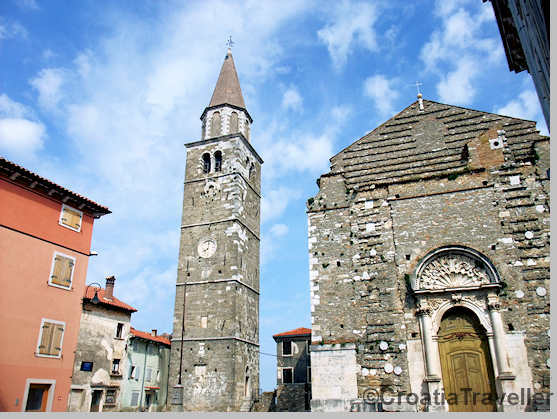 Buje is the largest Istrian hill village with a bustling town centre and an impressive assortment of Venetian churches and monuments. 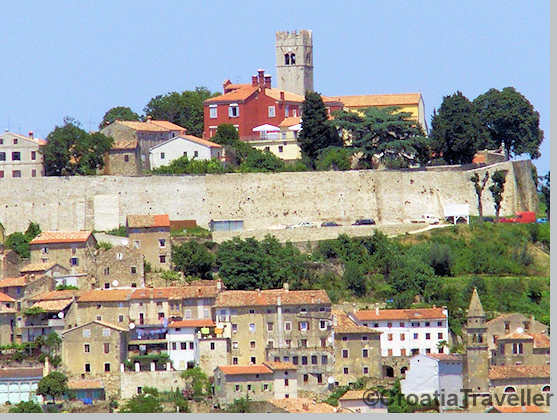 A bus to Umag and another short bus ride to Buje is doable for those without a car. Read more. 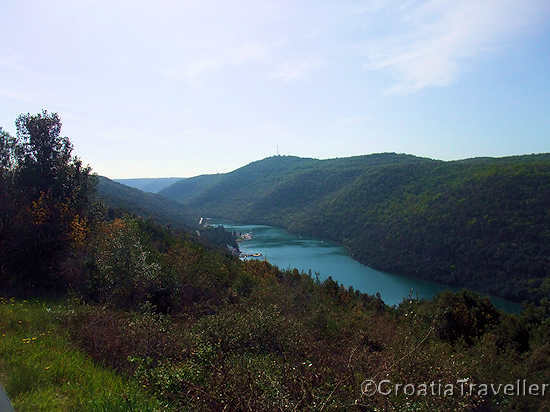 The Lim Channel is a drowned valley and one of Istria's most stunning natural settings. It's a popular outing and you can get there by boat or car. A number of travel agencies in Rovinj run boat excursions to the Lim Channel or you can hop on a boat once you get there. Read more. 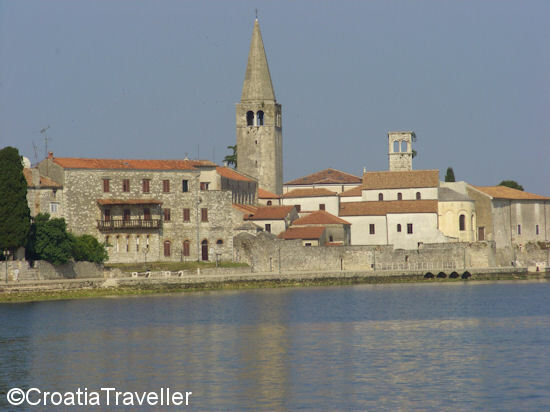 Easily reachable by bus or car (43km), Porec is an ancient Roman town that boasts the glorious Euphrasian Basilica, a World Heritage Site. It's also on the coast with easy access to beaches and islands. Read more. 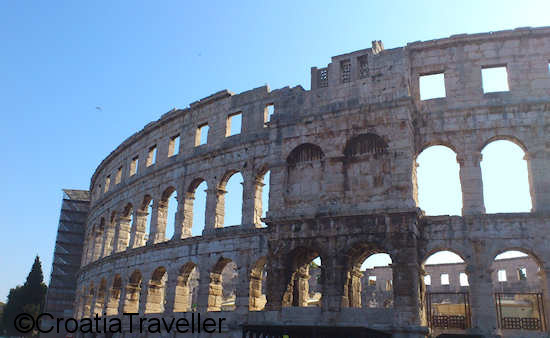 Less adorable than Rovinj but somehow more authentic and with a wealth of Roman ruins, Pula's centerpiece is the Roman amphitheatre. There are plenty of buses that make the 35km trip. Read more. Pazin makes a relaxing stop on the way to seeing Motovun and Groznjan. 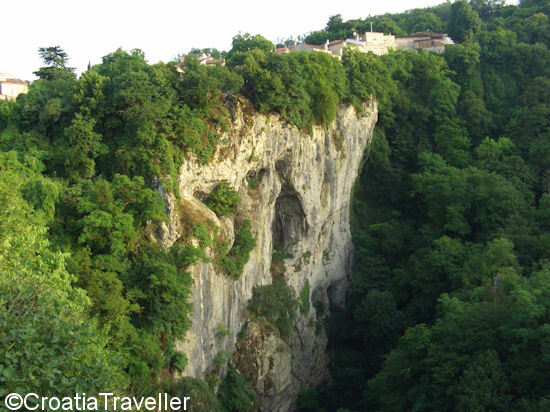 The highlight is the famous "Pazin Chasm", made famous by Jules Verne. 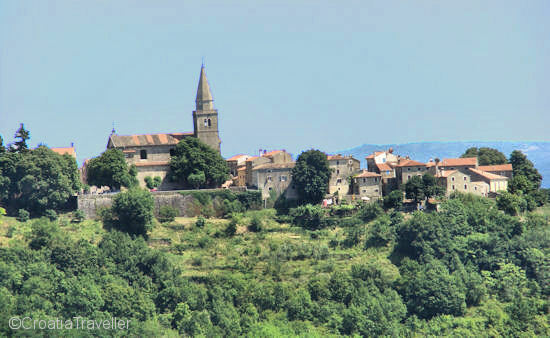 As Pazin doesn't get much tourism, it offers a glimpse of ordinary Istrian life in bucolic surroundings. Read more. Everyone's favorite hilltop village, Motovun (54km) is now attracting your more upscale types. Dining is good and the views over the Istrian countryside are remarkable. A car is necessary to visit. Read more. Groznjan is another fetching hilltop village (69km) of a somewhat different, slightly more rustic style. It's the site of a prestigious musical training camp each summer. A car is necessary. Read more.